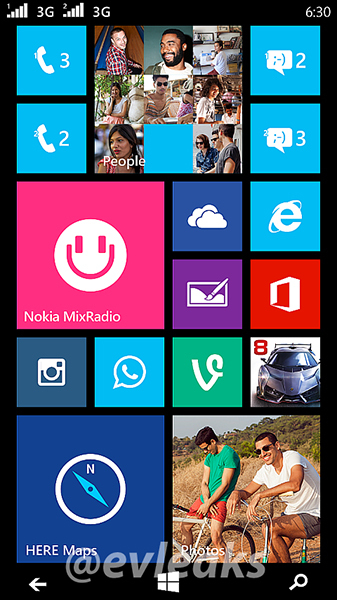 The acquisition by Microsoft doesn't seem to have hindered Nokia at all as it continues to work on new devices. According to the latest leak by evleaks, Nokia is also working on a dual SIM Windows Phone 8 device. Codenamed 'Moneypenny', the phone is expected to be a budget device aimed primarily at Asian markets where dual SIM phones are popular. Judging by the time on the screen, the phone could likely be named Lumia 630. Also, we can see that 3G is available on both the SIMs, which is rare as most phones have 3G on one and 2G on the second. Not much else is known about this phone at the moment other than it would be the first dual SIM Windows Phone device. We'll keep you updated on this device as we learn more.